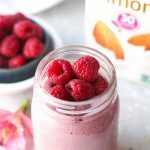 Delicious Raspberry banana oat breakfast smoothie that is dairy free and so easy to make! 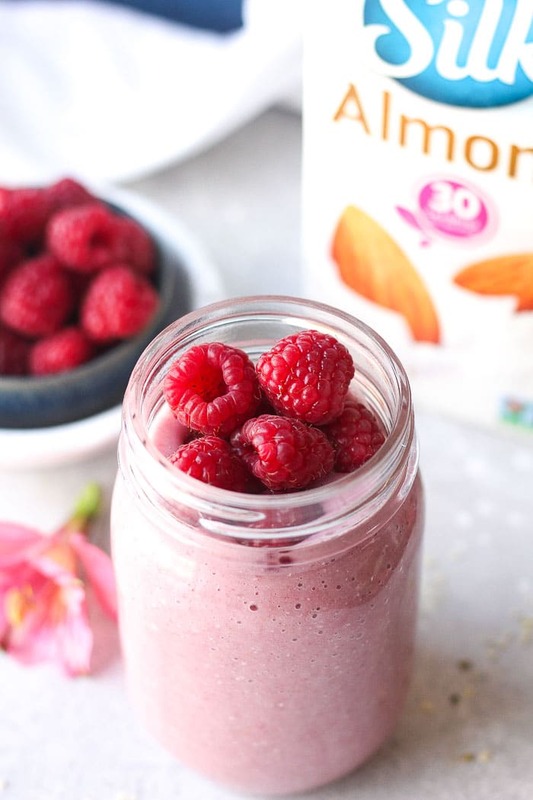 What a great way to start your busy morning with this fabulous nutritious smoothie. I am a huge fan of homemade quick breakfasts, that keep my family full for hours and that are easy to make at home. Not everyone has time in the morning before work or school, so making smoothies has being saving my life for years now. 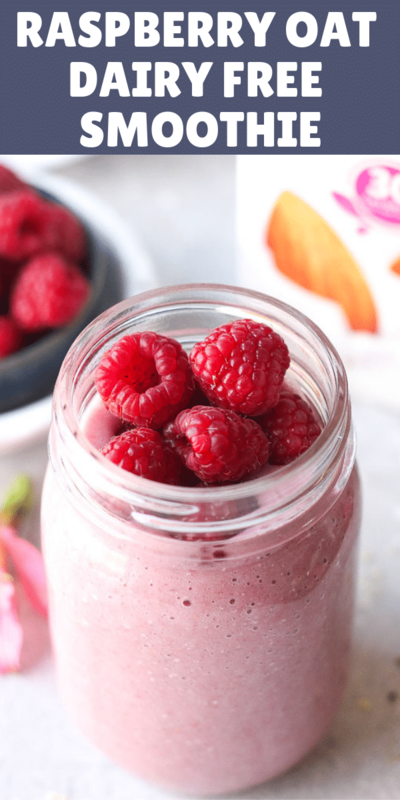 If you don’t like to have smoothies in the morning, try to incorporate this recipe in to your daily routine, you can swap any meal (lunch or dinner) with it or simply drink it before a workout. Since we’ve moved from San Francisco, Walmart has become my go to store. Its close to my new house and I like how to convenient is it- I can find everything I need in one single trip! 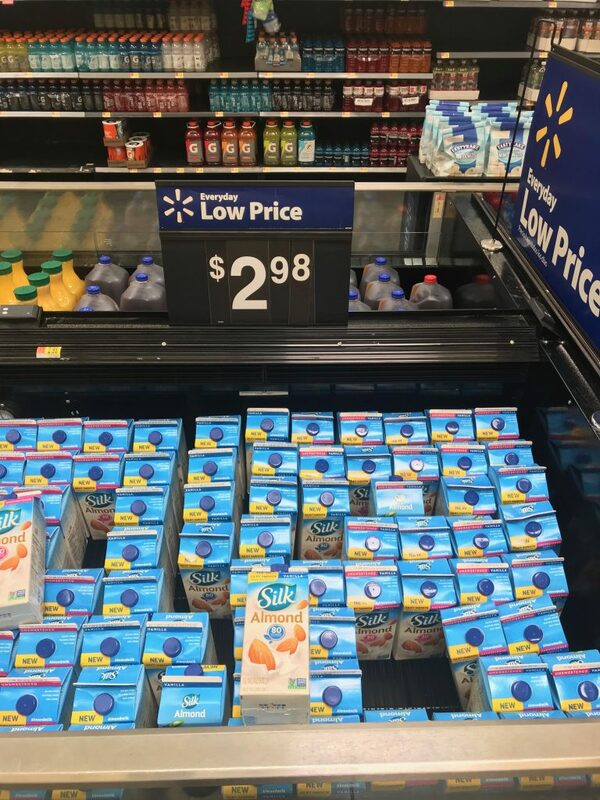 I stumbled upon this bunker and got not one, but two cartons of Silk almondmilk- Silk Vanilla Almondmilk and Silk Unsweetened Almondmilk. These will be such great base for all my easy nutritious and delicious smoothies! Raspberries. First you need to get fresh raspberries. Frozen will work as well, if you like your smoothies more thick. Banana. Make sure the banana is very ripe- it will be very sweet and nutritious. Oats. I used old fashioned oats which we have for breakfast sometimes. 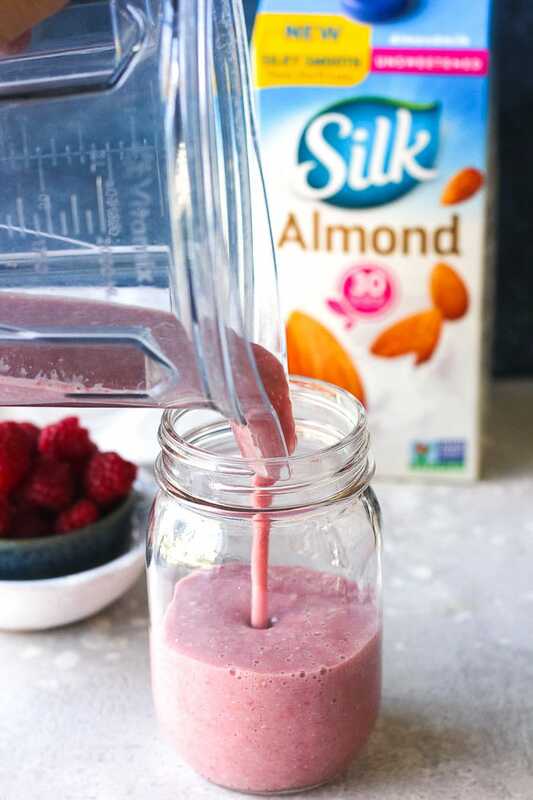 Almondmilk. Add your base! 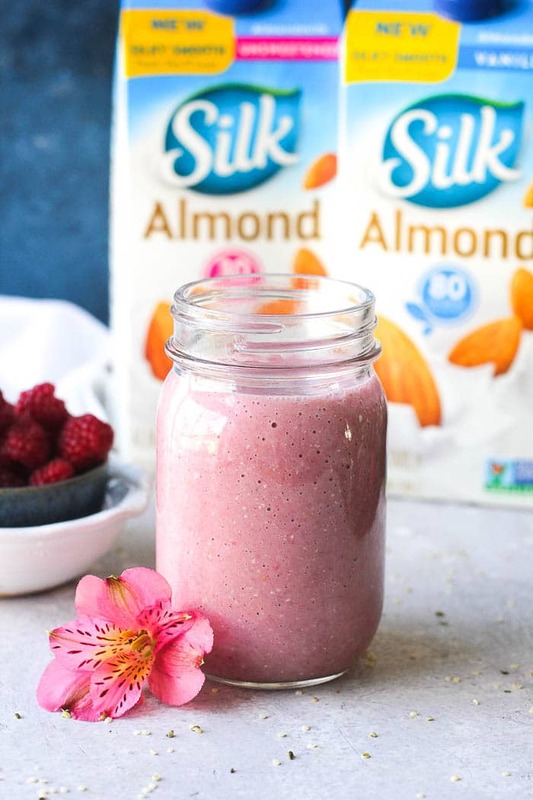 Silk Almondmilk works perfect here, its smooth and tastes great. Then you blend all these ingredients in your blender and voila! 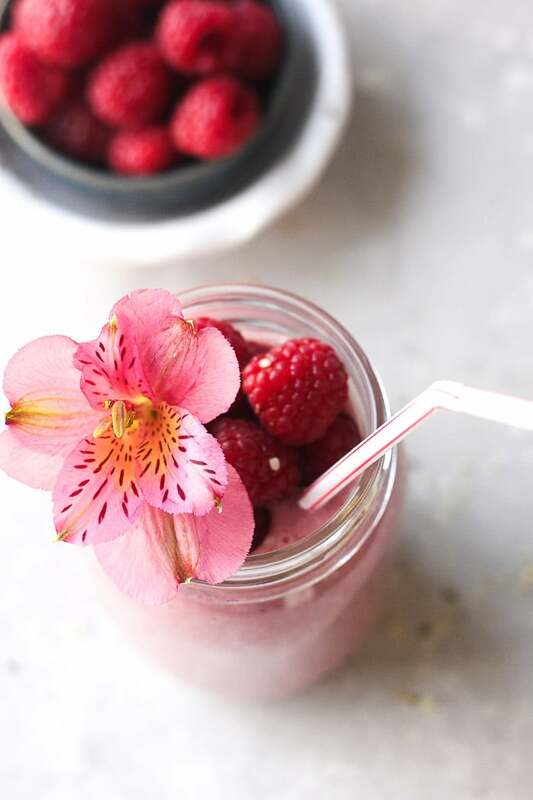 A filling morning breakfast smoothie is ready for you to enjoy at home or take to work. Your opinion is very important to me! If you made this recipe, please comment below, thank you! 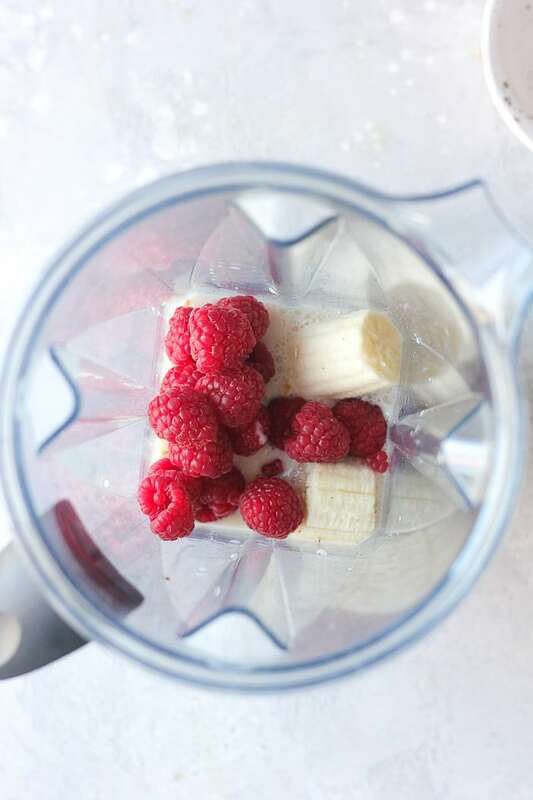 Add all this ingredients in to your blender and blend until smooth. Cook time? Does this mean you cook the oats before adding to mixture?